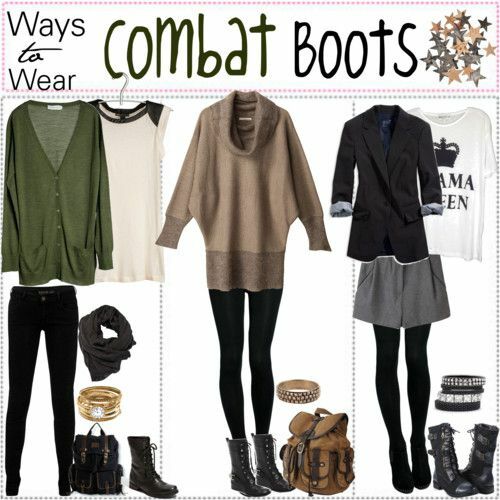 With 3 different ways to wear a pair of combat boots, you won’t go wrong or run out of ideas! Mix and match the items in these outfits to get even more ideas and choices to wear. All of these sport black combat boots. Top them off with accessories like bracelets, earrings, and necklaces, and even scarves. Use black skinny jeans or leggings, and you’ll be good to go!